English barleywine is the aged grandfather of the beer world. He can be intimidating at first, having lived a life entire, before ever coming to share your class. He is bold, even biting sometime, yet most of his harsh edges have been worn away by time, leaving a kindly, warming, complex character. He is a storyteller. And as you contemplate his company, lift the glass for that first tentative sip, you’ll know it’s a story to be lingered over, to be studied, shared, and savored. As a distinct style, English barleywine isn’t very old. The style description only came into use in 1903 when Bass Brewing, in the hopes of better marketing, tacked the name onto its strong No. 1 Burton Ale. However, the descriptor was no doubt used long before it became its own style. 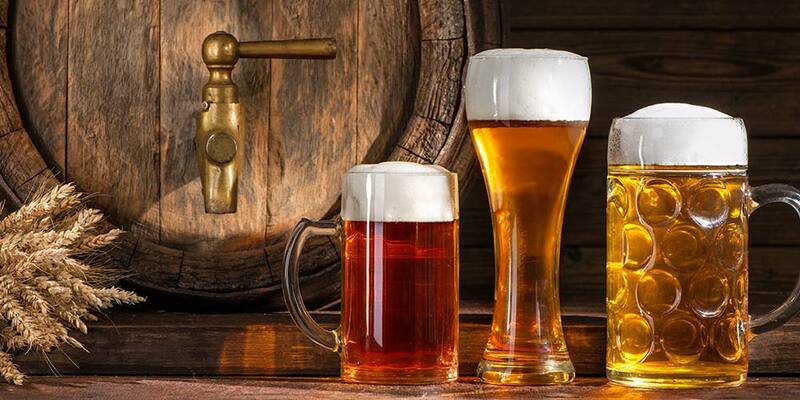 It might have been used as cultures came into contact with beer and had nothing else to compare it to but wine. As in the Anabasis, where Xenophon uses the Greek words οινος κριθης (oinos krithios), to describe a beer he encountered in his journeys. The Greek literally translates to “barley wine.” Later strong ales, those approaching the same higher alcohol as wine, would be tagged with the same “wine” label. 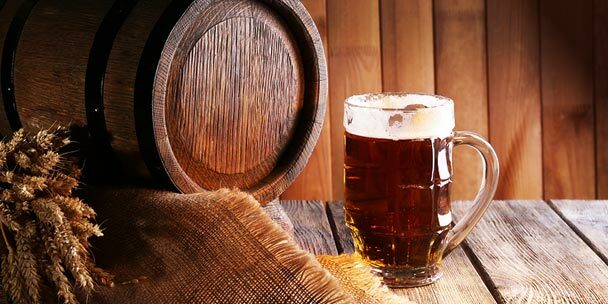 These strong ales likely got their start sometime in the 1400s, coinciding with the use of hops becoming more prevalent. In his book Amber, Gold, & Black, Martyn Cornell makes the case for these stronger ales’ inability to withstand infection — stronger almost always means sweeter — without the preservative qualities of hops. Once hops were accepted and in common use the brewing and storing, often for long periods of time, of such strong warming libations would have been more common. Even before hops became a commonplace ingredient, seasons ruled when brewers could ply their craft. Without refrigeration and with no real way of cooling wort quickly, brewing was confined to between October and March. Hops were a welcomed addition to these keeping beers, named so because they were sequestered away to water thirsts through the brewing drought of summer and into the following winter. They not only helped preserve these weightier brews, but also brought better balance to them. A more modern example came in 2006 when a cache of vintage ales were found in the Worthington White Shield brewery. This discovery included Radcliff Ale, a version of Bass’s No. 1 ale brewed for a special occasion in 1869. 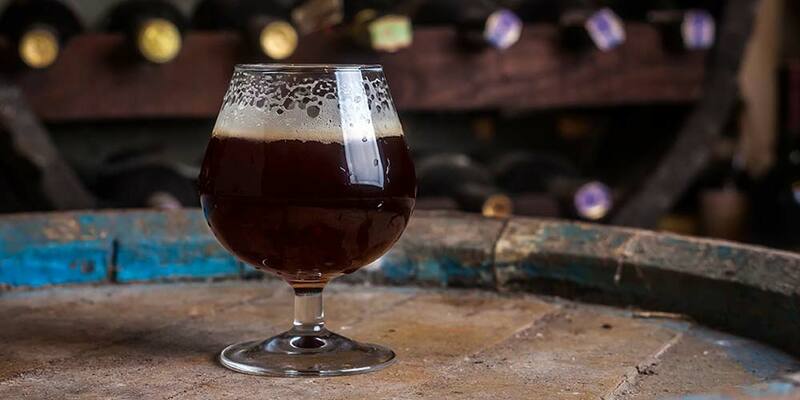 It was deemed the oldest drinkable beer yet found; displaying complex flavors of sherry, dried fruit, Christmas pudding, and smoked syrupy coffee. As you can see English barleywine isn’t the only label that has come to distinguish a now distinct style. But, up to the 1900s there weren’t any delineating lines marking off styles (even now, the lines between Old Ale, British Strong Ale, and Barley Wine are quite blurred). At the time these monikers were generally used to designate beer above about 8.0% that were aged for a time. Beyond these points, the language tacked on was largely left to the brewer’s preferences. The “double” and “double-double” descriptors came about because of a brewing practice in which the first runnings of a mash were poured back on the grain bed, once (double) or even twice (double-double), and mashed again. According to both Martyn Cornell (Amber Gold, & Black) and Jeff Alworth (The Beer Bible) the “double-double” was banned several times because of its extreme headiness. Another technique that, at least to some extent, seems to find a place in the roots of this style is that of parti-gyle brewing. This is an English practice in which two or more “runnings” are taken off the same mash. Sometimes one beer is made from each running — i.e. a stronger beer off the first runnings, a medium-weight beer off the second runnings, etc. But the runnings were also often blended to hit the specific gravities of two or more styles. Blending in this way allowed better control over the starting gravity. It is a practice not used extensively today, though some brewer’s still dabble in it. An example is London’s Fuller’s Brewery. From various blends of a first and second runnings they produce their Extra Special Bitter, London Pride, and Chiswick Bitter. Because these strong brews had such high alcohol content the yeast would often flag, slowing as the amount of alcohol rose. This could mean a long and slow fermentation with extra care being paid to the working yeast, which might need supplementing pitches to augment the workforce or, at the very least, a good rousing of the tiring yeast. This was done in the most practical way possible; tip a fermenting barrel on its side and take it for a roll around the brewery. In the mid 1700s, brewers at Burton upon Trent started to export what they called Burton Ale into the Baltic regions. Burton Ale typified the strong ale of the time, being dark, sweet, and dry hopped upon casking. 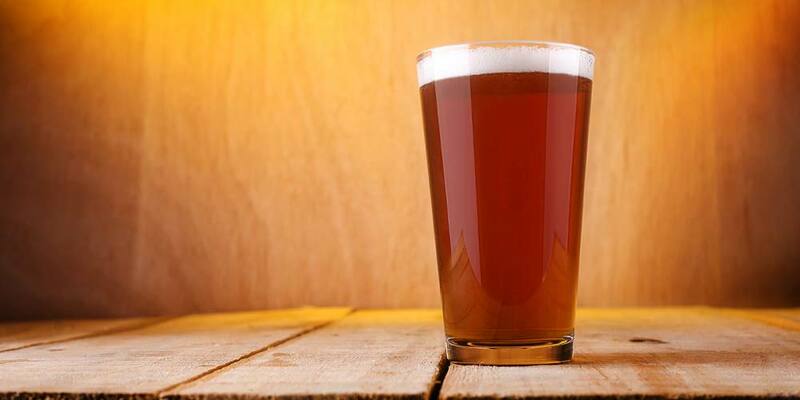 The trade of this ale continued until 1822, when Russia issued a high tariff on beer imports. After this, the Burton brewers slowly turned their attention to other markets including India. Soon they were making a lighter more bitter beer, which would become much more famous, for these new markets. The burly Burton Ale declined, but did not vanish completely. Burton Ale, or something very close, was brewed as a ward against the cold, and more importantly scurvy, for at least three different Arctic expeditions. The first being the 1852 undertaking to find Sir John Franklin’s lost expedition by Sir Edward Belcher. It even took on the name Arctic Ale as a result. These Burton and Arctic Ales are the closest direct ancestors of the Modern barleywine. 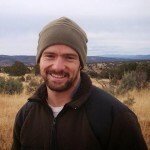 The guidelines for the English Barleywine style are set by the Beer Judge Certification Program (BJCP) Style Committee. The below details are a summary of what an English Barleywine should represent. Appearance: Vast range from deep gold to mahogany brown. Ruby highlights. Never opaque. Low to moderate head with poor retention. Aroma: Rich & complex with strong malty backbone. Mild hoppy aroma. Soft alcohol notes possible. All aromas become less intense with age. Flavor: Complex tapestry dependent on age. Strong malty characters. 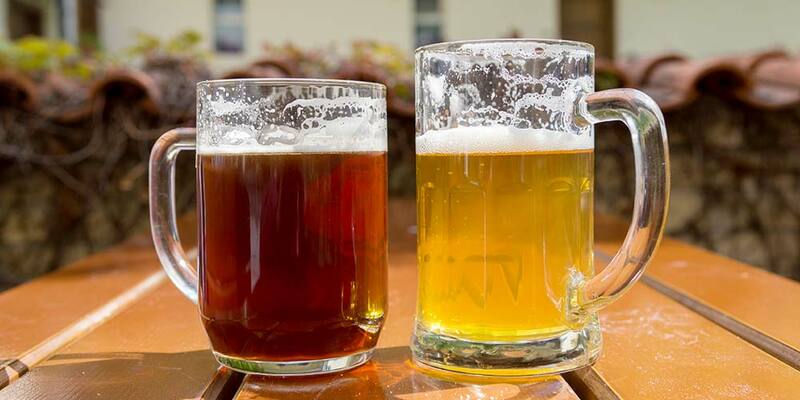 Hoppy flavors are low to medium, but bitterness may be high. Moderate to high sweetness. Finish may be dry or sweet. Mouthfeel: Depends on conditioning and age. Full body with smooth texture. Alcohol warmth should be smooth. Low carbonation. The BJCP classifies the English Barleywine under category number 17, “Strong British Ale” and it can be found in the guidelines as sub-category (17D). The color in an English barleywine can range widely; deep gold to dark amber and can even be a mahogany brown, but shouldn’t be opaque. Color often exhibits a great depth and richness, splashed through with ruby highlights. Head will be low to moderate, often with poor retention due to the high alcohol. It may form “legs” when the glass is swirled due to the viscosity and high alcohol presence within. Aroma is rich, complex, and varied with characters including strong malt backbones expressing as caramel in darker versions and toffee in the pale versions. Other notes can include bready, toasty, and/or molasses; or muted malt aromas along with a sherry-like, vinous, and/or port-like in aged versions. Often has moderate to strong fruitiness with a bend toward dark, dried fruit, especially in darker examples. Hop aromas are generally earthy, floral, or marmalade-like and can be mild to medium in strength. May be some low to medium, round and soft alcohol notes. The alcohol, hops, even the malt aromatics will tend to change and become less intense with age. Mouthfeel depends on the beers conditioning. It can be full-bodied, even chewy, with a smoothly pleasant texture, though this will likely decline slowly with long aging. There should be the low smooth warmth of alcohol. Carbonation is often low, but can sometimes climb into the moderate range. Carbonation also, will decrease with longer aging. It presents a rich and complex tapestry of flavors. Malt character is often strong bordering on intense, showing notes of dark caramel, molasses, nut, and dark toast in the darker versions, while the lighter examples bring notes of biscuit, bread, and toffee. Sweetness may be moderate to high across the palate. Finish can be either moderately sweet or transitioning to a moderately dry. A dark or dried fruit character is frequently present and can range from medium to high. Flavor will likely have complex alcohol notes with possible oxidative or vinous undertones (depending on the beers age). 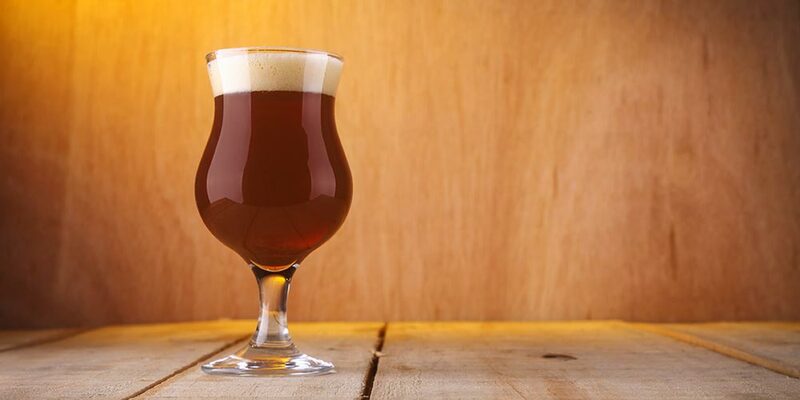 Everything you should know as you try to brew a barleywine recipe at home. Balance can be either malty or somewhat bitter with hop bitterness ranging from, just enough to achieve balance, to a more assertive showing. Hop flavors usually are low to medium with a marmalade-like, floral, and/or earthy character. Pale versions are more likely to fall on the side of higher bitterness and higher hop character, along with higher attenuation when compared to darker versions. A beer this complex calls for meats with gamey richness and sauces to match. Try venison, wild boar or lamb. Duck and other wild poultry, such as pheasant should match lighter versions note to note. Cheeses and this style are secret friends. A fact Garrett Oliver waxes quite poetic about in his excellent book The Brewmaster’s Table. He suggests; aged Cheddar, Greyre, or some aged goat cheeses, but the highest expression of this friendship is Stilton. I’ve tried Stilton and a nicely aged barely wine, and have to say I agree totally with his poetic license. Desserts are another great playground for this beer. Any kind of caramel flavored dessert will find a familiar song in the malty depth of this style. And nothing finds a better home then the old caramelized standby crème brûlée. Don’t forget your after dinner sipper, the digestif to finish off that huge meal. Bigger, older English barleywines will warm your insides as you sit close to that roaring fire and discuss the finer points of life with your dinner guests. For best presentation and greatest appreciation an English barleywine should be served at 50-55°F in a snifter glass. They are best stored at cellar temperatures away from light and can often age for many years. At the moment, English and American versions of this style are lumped together in a single barleywine competition category. There have been few, if any, English version winners over the last couple years. Despite this, there are many good examples.